The Loop is a novel by Nicholas Evans. 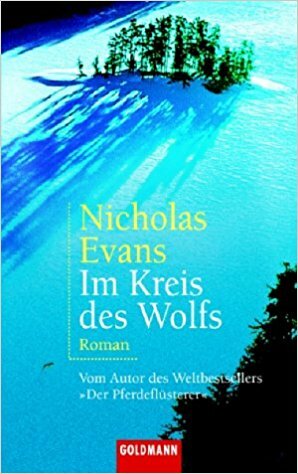 I read the German translation Im Kreis des Wolfes by Bernhard Robben. Hope, Montana is shaken – the wolves have returned to the woods around town, and the first cattle has been taken. Unofficial town leader Buck Calder will not have it – he just wants those wolves gone. But there are species protection laws and the local specialists send for Helen Ross, a biologist specialized in wolves, to try and figure things out. Helen is in need of a change of scenery and jumps at the chance, clashing pretty much immediately with Calder, but finding an unexpected ally in Calder’s young son Luke. I read The Loop when I was a teenager (after having loved Evans’ The Horse Whisperer) and was very much taken with it back then. Reading it about 15 years later, it doesn’t quite hold up to my fond memories of it, but it is a decent read. 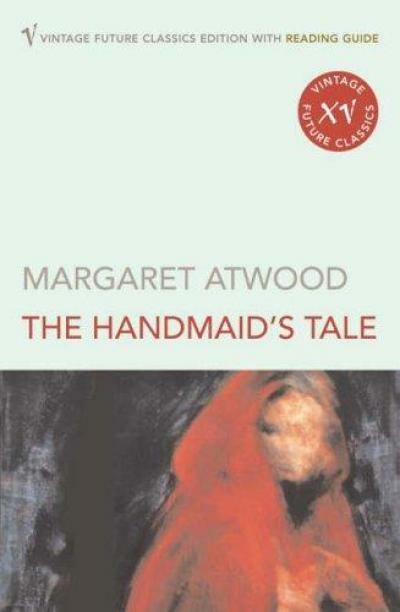 The Handmaid’s Tale is a novel by Margaret Atwood. Offred is a handmaid in Gilead, which used to be known as the USA. Being a handmaid means she is assigned to an important family where her job is to become pregnant and reproduce for the family, as many people struggle with fertility issues. Women in general are severely limited in their rights in Gilead. But Offred managed to hold on to a last shred of wanting more than her assigned lot. I read The Handmaid’s Tale in school many years ago and some of its imagery burned themselves into my brain. But I don’t think I appreciated the book for all that it offers at that time. I am pretty sure that I understood and liked it more reading it now. Coraline is a children’s novel by Neil Gaiman. My edition comes with illustrations by Dave McKean. Coraline Jones moves with her parents to a new house. Her parents are always busy so Coraline is left to explore things alone. One day she discovers a hidden door in her house and when she goes through, she meets her Other Mother, who is everything a child could hope for and more. But her Other Mother has buttons for her eyes. She wants Coraline to stay, but for that, Coraline will need to give up her eyes as well. 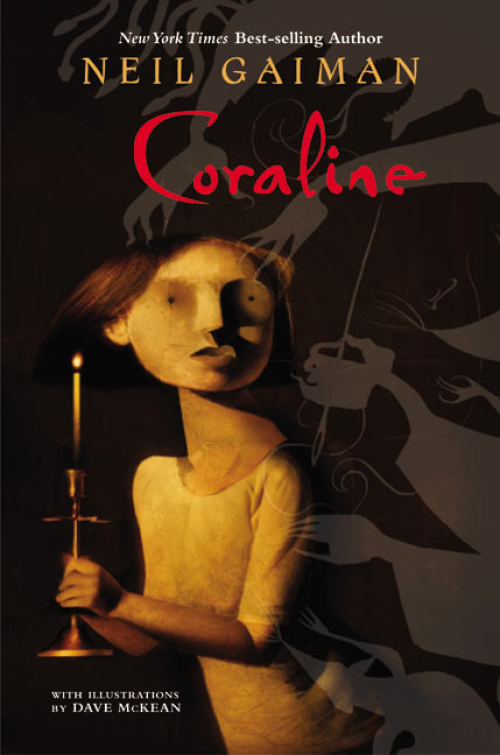 I did a small analysis of Coraline (book and movie version) for uni, so I re-read and re-watched both. And I really enjoyed reading the book again, even though I look at some things more critically now than when I read it the first time. The Ingenious Gentleman Don Quixote of La Mancha is a novel by Miguel de Cervantes Saavedra. I read the translation by Ludwig Braunfels. Alonso Quixano is a nobleman who loves to read novels about chivalry and all kinds of adventures involving knights. He has read so many of them, they are starting to screw with his mind and he starts thinking of himself as a knight. Deciding that he has to go out and find adventures, maidens to rescue and villains to conquer, he leaves his niece and housekeeper behind and transforms in Don Quixote. Together with his horse Rocinante and the freshly hired squire Sancho Pansa and his donkey, they’re off to great things. 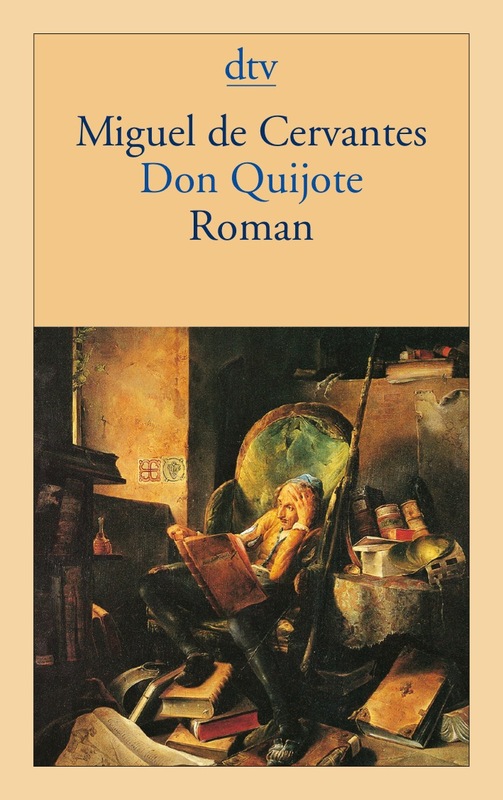 It has been many years that I read Don Quixote [Volume 1 and 2], so when it was announced that it was part of my curriculum at uni, I knew that I had to read it again. I wasn’t particularly looking forward to that, I have to admit, since I remembered that I didn’t like it a whole lot, especially not the first Volume. Re-reading it now didn’t really change that. 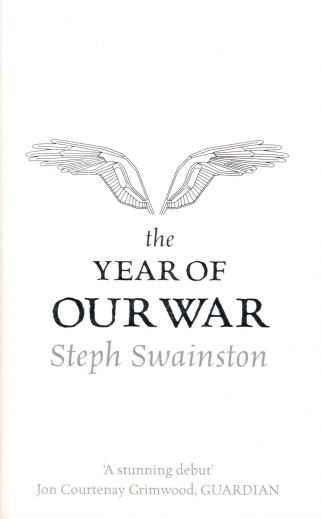 The Year of Our War is the first novel by Steph Swainston and the first book in the Fourlands Series. The Fourlands are at war with the (man-sized) Insects that threaten to overrun the entire kingdom. King Dunlin leads the attacks, supported and advised by the Emperor and his group of 50 Immortals, all the best in their respective fields. One of said Immortals is Jant, the messenger – a position he has because his father was Awian and his mother Rhydanne, which gives him wings and a light enough frame to actually fly, the only person to be able to. But by now, it is the only reason he still has the position as he is also incredibly self-centered and addicted to the drug cat and the Shift to another world that comes with it. As things become worse, Jant will have to make some choices. Since it took me a little longer to get to the sequel to The Year of Our War (and to acquire the third and fourth Fourlands books as well, since they’re sadly out of print), I decided I’ll just see it as the perfect opportunity to re-read the first one again. And I still loved it. Zwei Wochen im Mai is the second autobiographical novel by Christine Nöstlinger. [Here’s my review of the first one, Maikäfer flieg.] The title literally means Two Weeks in May, but to my knowledge the book wasn’t translated. World War II has just ended and Christl and her family are slowly trying to get back to normal. That means, among other things, that Christl can go back to school and that she can take piano lessons now – even if she hates them. For Christl, though, what is more important than any of that is the plan she hatches with her best friend (even though he sometimes has that look and then you need to avoid him) Rudi to come into a little bit of money, and of course the dreamy Hansi. I remembered Zwei Wochen im Mai much more strongly than I remembered Maikäfer flieg. It just made more of an impression. 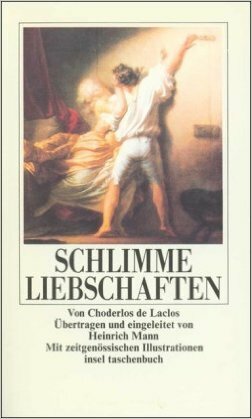 And also on re-reading as an adult, I would say that it is the stronger book of the two (although Maikäfer flieg was by no means weak). In any case I enjoyed it greatly. Maikäfer flieg is an autobiographical novel by Christine Nöstlinger. It was translated as Fly Away Home; literally it means “Melolontha, fly”, which is the first line of a children’s rhyme. World War II. 8-year-old Christl spends a lot of time with her grandparents as her mother is hunting for food and necessities in Vienna. Her father is fighting. Or rather, he is in the hospital with a shot up leg. As the bombings in the city get worse and the grandparents’ apartment is damaged, Christl’s mother hatches a plan to head to a house at the city’s edge where she used to clean. The owner of said house has fled and needs somebody to take care of it anyway. So, Christl, her sister and her mother make their way there, leaving behind her grandparents who are unwilling to move. 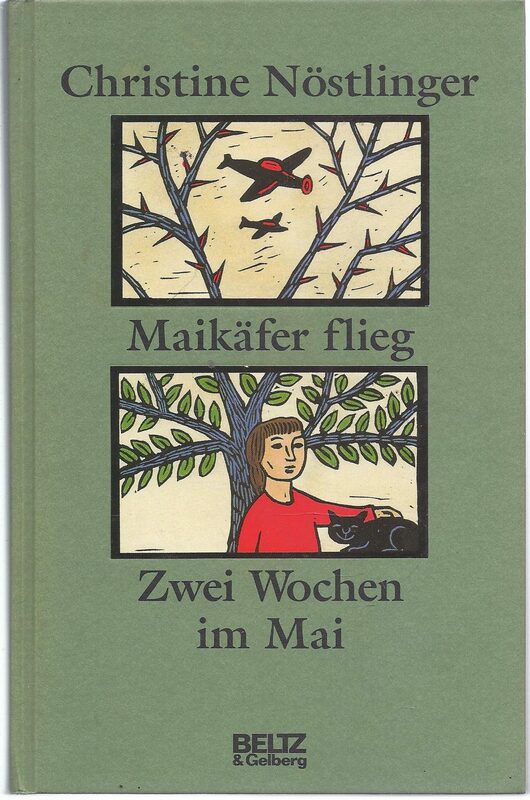 I read Maikäfer flief (and its sequel Zwei Wochen im Mai – Two Weeks in May) when I was a child, probably around the age Christl was in the book and then again a bit later. But since then I haven’t re-read. Now with a movie adaptation coming out, I thought I’d read it again. Of course, my perspective has changed quite a bit, but I found the book engaging both when I was a child (although I liked the sequel better) and now. The Victome de Valmont and the Marquise de Merteuil are thick as thieves, united in their love to manipulate and destroy the people around them, a skill they have so artfully mastered that their ploys don’t fall back on them. Both have a new project: Valmont is trying to seduce Madame de Tourvel who is staying at his aunt’s summer home and who is widely known for her morals and her loyalty to her husband. The Marquise, on the other hand, is looking for revenge on an ex-lover who just got engaged to the naive Cécile who has spent pracitcally her entire life in a convent. So she enlists Valmont’s help to completely corrupt Cécile. 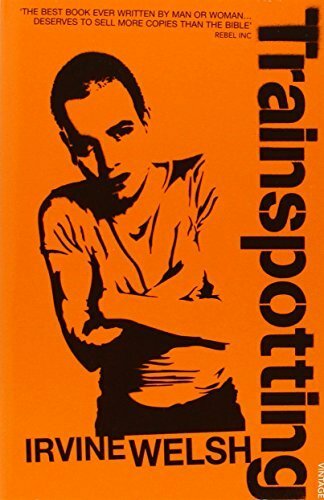 I read this book for the first time when I was in school and I was very much intrigued by it, to say the least. But I haven’t re-read it since, so I was a little worried whether it would still hold up to scrutiny. Nevertheless, when it was announced that they’d show the play here, I figured it’s the ideal opportunity, to revisit the material (I almost finished it before seeing the play, too). Fortunately, the book is still fantastic in very many ways. A group of mercenaries are planning a big coup. One that was short notice and has to be carried out by a teamt hat it less working together and more trying to kill each other, which can only lead to disaster – or at least that’s what retired cop Hector McGregor assumes from the evidence he finds by chance. Not that anybdoy believes him. At the same time and not far away, Gavin Hutchinson is building the ultimate ressort on an old oil rig: all of the holidays away from home, none of the foreigners trying to screw up your life with their food and culture. It is not quite finished yet, but Hutchinson still organized a school reunion to take place on the reunion. If you can’t show off your success, what’s it even for. So a colorful mix of people who mostly haven’t seen each other in years come together for a night, all for their very own reason. 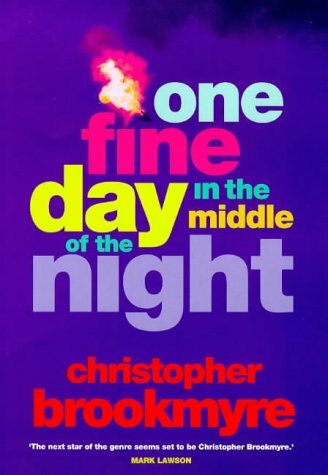 One Fine Day in the Middle of the Night was the first Brookmyre book I read, about 15 years ago. Since I absolutely fell in love with it then, it is probably no surprise that I still remembered a whole lot about it. More surprising is that I’m just as much in love with it as I was 15 years ago. If you ever wanted to read a good action film, I can only recommend it.